Car registrars required to register the traffic situation. There are many different models of recorders, which allow different ways to view the recorded files. 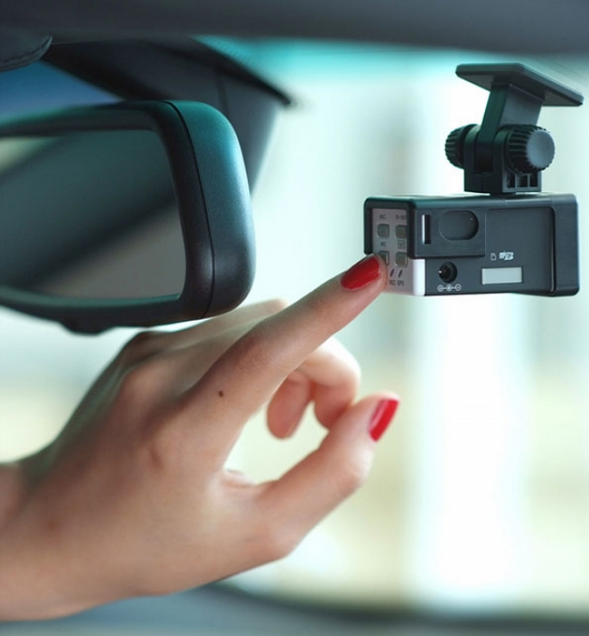 In the modern world, motorists often use DVRs to solve disputable situations on the road. These devices allow to save the video files in the built-in memory or on the memory card. Some models of recorders allow you to view your recordings in several ways. If the DVR has a display to view video files directly on it. Displays can be hinged or fitted, rotary or fixed, of different sizes and resolution. Of course the quality of viewing of the file depends on the quality of the screen. Display with a resolution of 1920x1080 pixels, you will see a lot more detail than on the screen with a lower resolution. In order to view the records directly on the device display need to select the appropriate menu command. In many recorders the browse button imposed on the body. After clicking, you will need to choose a file that interests you, and start playback. Also, if you wish, the files can be rewound. This is probably the easiest and most convenient watching videos from the device directly in the car. How to view the recording on the PC and the TV? The market offers many models of DVRs that don't screen because of its overly compact size. But, as a rule, they are equipped with USB ports and HDMI. The first can be used to connect the device to the computer. Usually included with these models are special cables to connect to the computer. However, you may need special software to view the files. More convenient are those registrars that are recognized by the computer as a normal drive. In this case, to view just need to connect the logger to the computer and run the selected file through the media player you installed. The situation may be complicated in the absence of the data logger's USB connector. In this situation, you will need to pull out the memory card and insert it in your computer or smartphone. In the absence of the computer's built-in card reader will have to use removable. The easy option of viewing videos with the Registrar will be viewing on the TV. This requires that the main body of the logger was attended by HDMI or AV connector. When using a special cable (supplied they may not be) you can easily connect device to TV at home or in the car. Usually the owners of video recorders no problems with viewing video files. Modern devices allow you to play videos of any of the above methods. 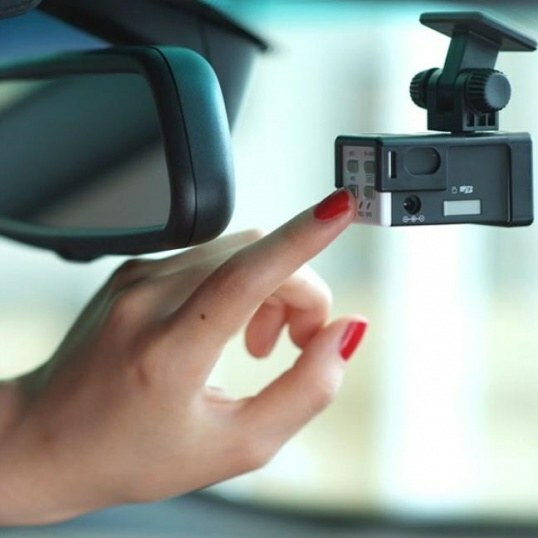 If the car is equipped with DVR, the driver will be much easier to prove your innocence in the accident. And will be very sad if such an important videotape is accidentally erased or damaged. It is therefore important at the first opportunity to reset the video recorder to the computer. In modern traffic the DVR is very useful. A video recording of an accident can save not only money, but freedom. The safety video depends on the correct operation of the device. Buying a Registrar, take the time to install it in the car. Start with reading the instructions. Examine the functionality and purpose of key management. Stress will make it much harder. It can also protect you from accidental file deletion due to wrong button pressed. Be sure to check the operation of the device. Record a few test clips and save them to the memory card. If there are problems, better to identify them at home in a relaxed atmosphere. Buy a memory card the maximum possible capacity. From the amount of available memory depends on the recording duration. Make sure that your device is able to work with such amount of memory. Format the card and test it by recording a video for it. The recorders can record video in two modes. In the first case they stop recording when the space on the memory card ends. In the second case, the record is in the ring, while previously recorded video is erased. 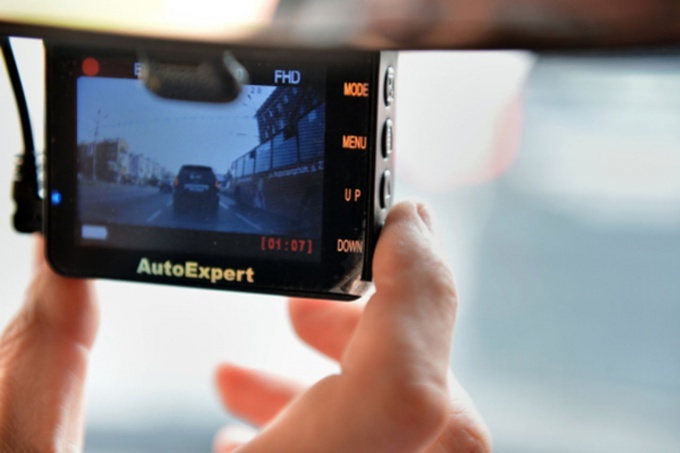 In order not to lose the video recording of the traffic incident, make sure you copy the video recorder to the computer. It may be useful for you when dealing with traffic police or for trial. The easiest way is to use the USB cord that should go in the kit with the appliance. Connect it to the computer port and copy the desired file by dragging it with the mouse from the folder logger in the desired folder on the computer. If the cable at hand was not, you can use a card reader. This device is designed to read information from memory cards. Remove the card from the recorder and insert into the appropriate connector on the card reader. Connect it to the computer. When he determines a map, go to it and copy the required files to your PC. If you got a laptop, it can greatly simplify matters. First, it will allow you to view the video is not on the small screen of the recorder, and a monitor. This can simplify the communication with the traffic police and other road traffic accidents. Second, you can increase the chances of saving the video. This is especially important if the police decide to confiscate the memory card with the recording of events and to attach to the Protocol. Even if the video is lost, you will retain a copy. Thirdly, many models of laptops are equipped with built-in card readers. This will allow you to copy the video with no cable. Modern equipment designed in every way to make life easier for the person. Does not shy away from progress, and motorists. In recent years, gadgets have become an integral part of the process of driving. Radar detectors, navigation devices, DVRs - those things that underpin modern drivers, considering these accessories are very necessary. But it's also important just to know where to buy but to know how to use any kind of electronics. 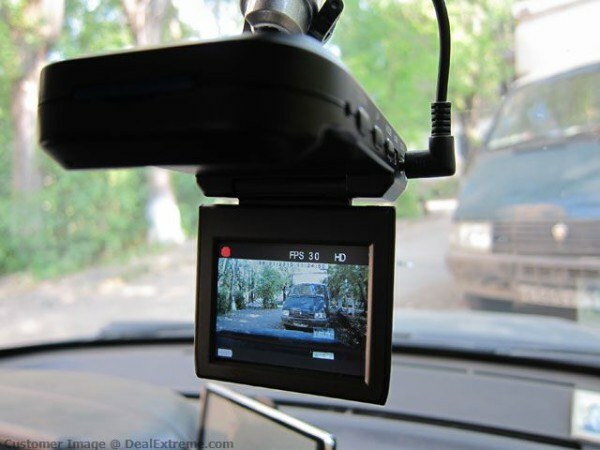 DVR is a device for video documenting the traffic situation and a situation in which the vehicle is travelling in the cabin which the appliance is installed. In General, such devices are very functional and easy to handle. They may have one camera which captures the traffic situation, and two is a function of the second chamber consists in fixing the situation in the car. These devices are able to make photo and video shooting in the daytime and at night. The quality of these devices can be divided into low-end models, middle class and premium segment. The distinguishing parameters can be not only as materials of the gadget and build execution, but in contrast to recording speed, picture quality, memory, etc. All these parameters are based on the pricing policy of the manufacturer of these devices. 1. One in the most primitive way can one call the device is connected to PC via USB port. 2. The memory card is removed from the device and connect it to PC using card reader. 3. If the car GPS Navigator can connect the DVR to your browser, and use it as a monitor. 4. Also such method include participation in viewing this video modern TVs that have card readers and need to see to play videos in different formats. 5. The easiest way, but not the most convenient - view the material on the monitor of the DVR. You should pay attention to the fact that all devices are universal and can easily connect to each other. However there might be a difference in the software and the necessary codecs (software to open video files). And it is necessary to take into account when buying a DVR it for future use. If you experience any problems of incompatibility between video files, it is necessary to turn to a specialist store who had purchased this gadget, or to seek hint in the world wide web. The DVR will allow you to prove the guilt or innocence of any participant in the traffic accident. Experienced drivers are aware of the importance of the Registrar's why this gadget has become quite popular among car owners. Also the DVR is indisputable proof in court, however there are instances where the inspector refuses to accept the material recorded on the recorder. If the accident occurred, then you need to make sure lists if the material time of the accident on the DVR. If Yes, then you need to fix it and provide a video either to the court or the inspector. If the inspector doesn't want to accept, he shall draw up a report explaining the reasons for the refusal. The video is available either on disk or on the memory card. The disk is still preferable, so as to change the video on it is much more difficult. Before you give the card to the inspector, it is necessary to cleanse her from all unnecessary shot earlier records. The map should be only the recording of the time of the accident and all that is connected with it. In any case, you can not change the record: you can't fix the images, sound effects, clean up some details. The entry must be saved in the form in which it was filmed. The video passed into the hands of the inspector who sends it for examination. The Protocol should specify the date and time of recording, so the ability to copy excluded. The DVR should be given the right date and the right time, otherwise the entry will not be accepted. Also, you cannot do the examination later than two days from the time of the accident, as during this time, you can make a good copy.